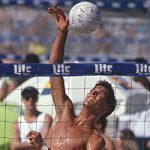 The OODA Loop and eventually for higher level more experienced learners / players / coaches, Dr. Bill Harrison’s – AVCEX Loop I feel offers a more comprehensive approach to volleyball coaching and volleyball strategy, especially beach volleyball strategy. Colonel John Boyd coined the term O.O.D.A. Loop, in the 1950’s. Colonel Boyd, known as the “Fighter Pilot who changed the Art of War”, was an F-86 pilot and commander of a fighter group during the latter part of the Korean War. The O.O.D.A. Loop is a process we go through hundreds if not thousands of times in a single day. It is a process that defines how we humans react to stimulus. Colonel John Boyd believed that when at a disadvantage a competent pilot could still overcome that disadvantage by “Attacking the Mind” of his opponent. His observations led him to a greater understanding of human reaction time and the coining of the term O.O.D.A. Loop. Colonel Boyd trained his pilots based upon his observations of Human reaction time and as a result his pilots had a 10 to 1 kill ratio over the superior Mig-15’s. In the Orient stage you are now focusing your attention on what you have just observed. “Orientation is the schwerpunkt. It shapes the way we interact with the environment – hence orientation shapes the way we observe, the way we decide, the way we act.” – John Boyd. 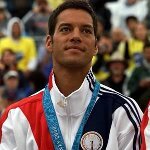 The next stage is the Decision step in which you have to make a decision on what to do based upon what you have just observed and focused your attention on. 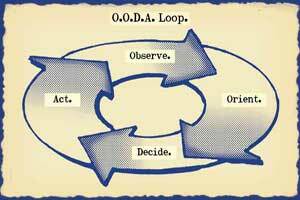 Boyd, decision-making loop occurs in a recurring cycle of observe-orient-decide-act. 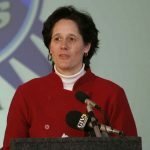 The ability to speed up the cycle is also critical. 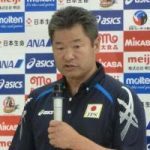 In volleyball elite player and coach can process this cycle quicker, thus observing and reacting to unfolding events more rapidly than their opponent, thereby “get inside” the opponent’s decision cycle and gain the advantage. In sports, war, business, or life, the OODA Loop can help you grapple with changing, challenging circumstances and come out the other side on top. 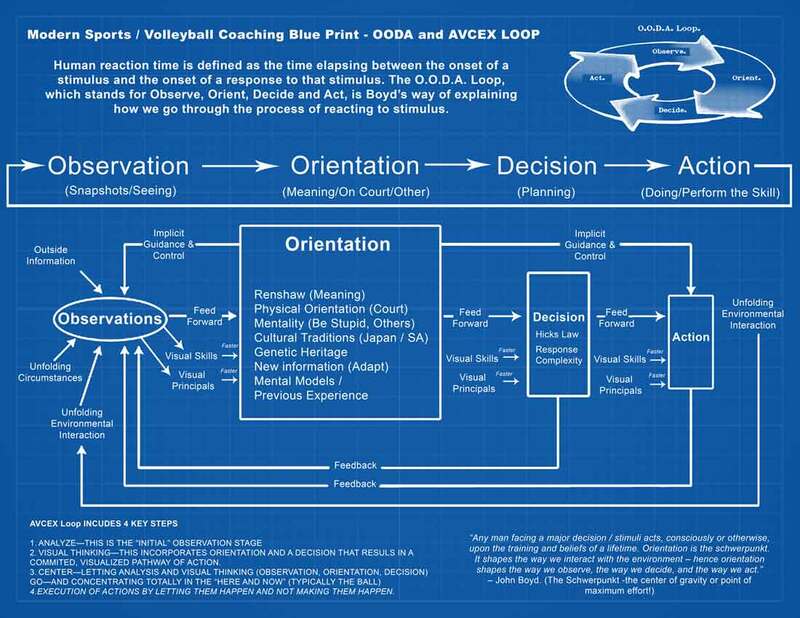 Over the next few weeks I will be sharing more information regarding the OODA and AVCEX LOOP, as well as other important concepts related to coaching volleyball. I too will be teaching in-person these new “Reading the Game” Concepts at our TRAVEL TO YOU Volleyball1on1 Summer 2015 camps. If you are interested in finding out more about my Volleyball1on1 Summer Camps, go here to get more information.